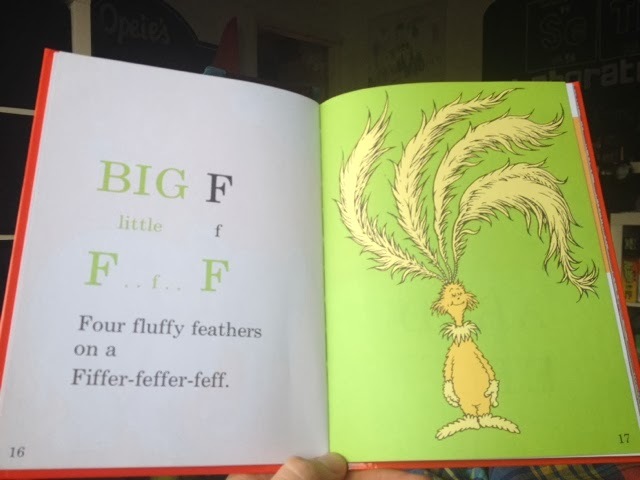 Gifts from the Pirates: "Big F little f, F..f..F. Four fluffy feathers on a Fiffer-feffer-feff"
"Big F little f, F..f..F. Four fluffy feathers on a Fiffer-feffer-feff"
Despite the lengths we go to to teach Opeie about letters and numbers sometimes I think he's a little to young to fully understand. Other times though he surprises me and completely blows me away with what he's picked up. Last week at the end of Opeie's music class, Julie revealed the theme for this week, the letter 'F' and as she reeled off some relevant words Opeie turned to me quite to the point and said 'Like Fox or Feet!'. It really did take me by surprise but it's so nice to know that what we are teaching him is sticking. 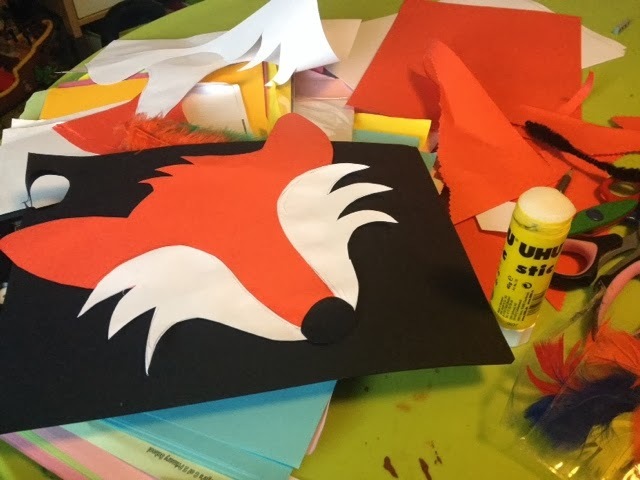 So yesterday morning's craft session was all about the letter 'F' and it was clear from the get go that we would be attending Clatterbugs this week as Foxes. If you've read the blog before then you'll know that the Fox makes a regular appearance with our 'fox hunting' posts where we take photos of foxes we spot while out and about. 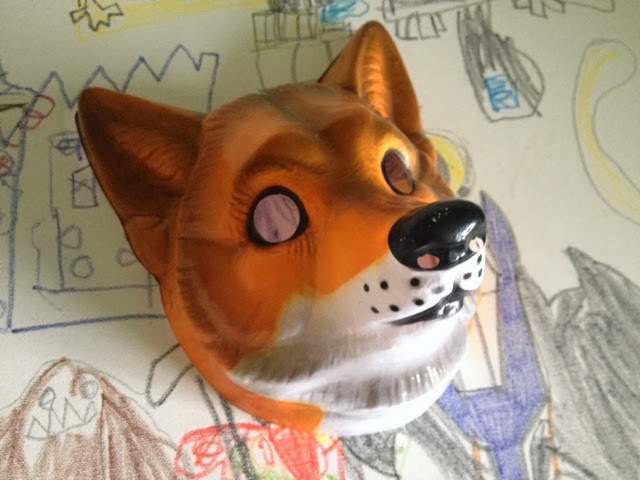 We do own a fox mask that we bought a while back but it's more fun to create something ourselves. We managed to find all the material we needed to create our masterpieces so we got to it. Opeie's been really unwell this weekend so the activity was partly to try and take his mind off feeling grotty. 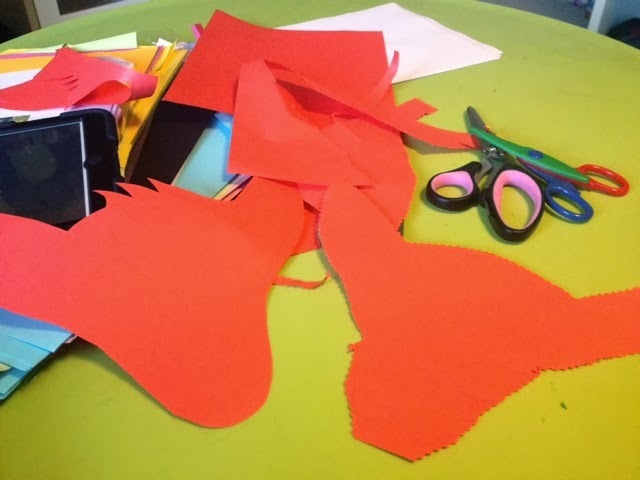 The Poor little soldier sniffed and coughed his was through our craft session but he was having fun. 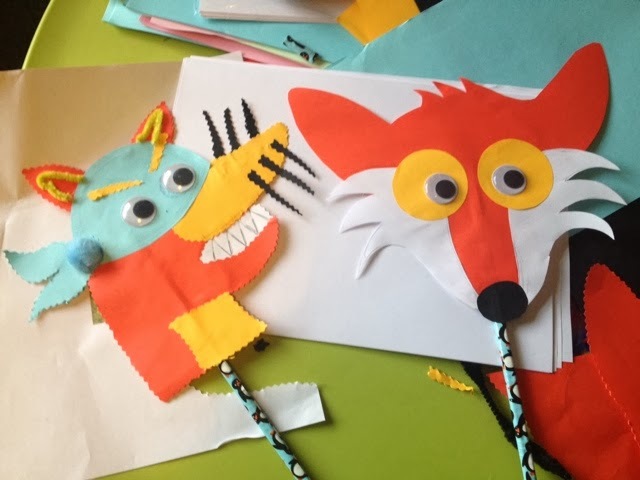 We were making one each, so we made mine which was really simple and then I gave Opeie the option of any famous foxes he might want to create, fox in socks, fantastic mr fox, tails (from sonic), Robin Hood, Mr Todd, but in the end he went for Swiper the fox from Dora the explorer. Our masks were really quick to make which they needed to be because poorly Opeie soon lost motivation and just wanted to have a cuddle on the sofa with mommy and who could blame him, it's exactly where I wanted to be too. Sadly Opeie was to poorly to show off his cunning creations this morning so we stayed in the warm with the promise of a foxy dance later when he's feeling up to it. We'll just have to get working on next weeks theme instead.